Good Morning ! I'm off and running to my retreat today! I'ts a 4 hour drive and it all begins at 1pm! Of course you don't have to be there ON THE DOT. I want to get into town a little early, there are some fun shops that I like to stop at in Paso Robles. We will probably hit some quilt shops on Friday or Saturday, but I like the little antiques shops too, so I'll check those out on my way in. ANYWAY... I've had a busy week! I have my block done for today! 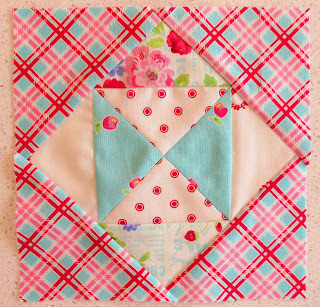 This block is by Julie Karasek and it's called Friends Around the Square! 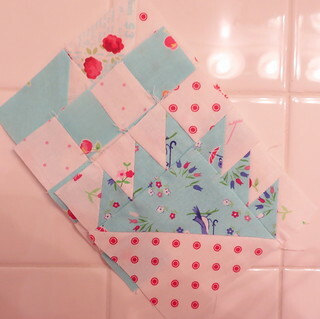 Super cute and fun block to make. 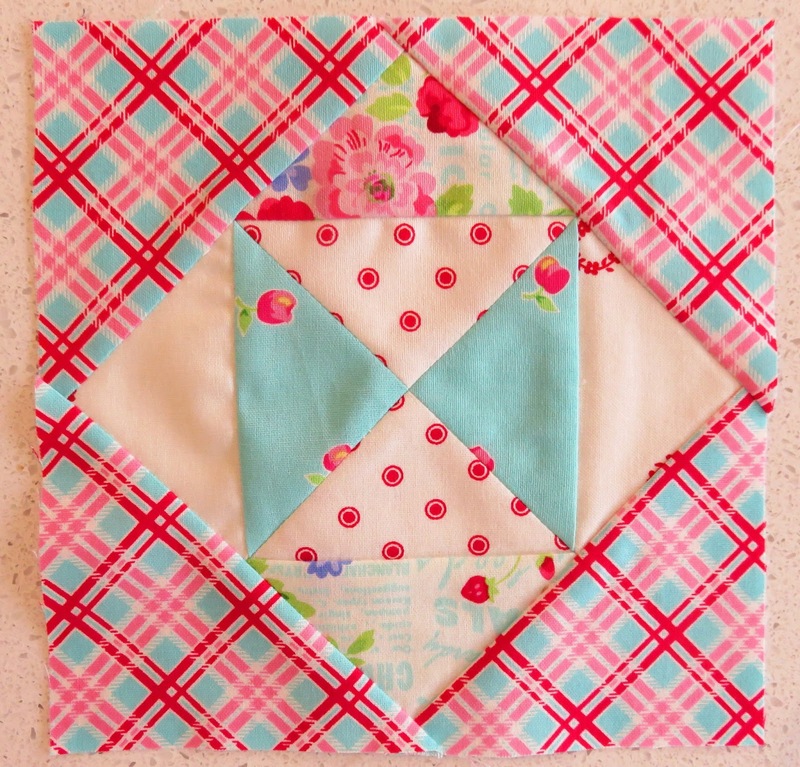 Be sure and check out the Splendid Sampler for the details to make this block! 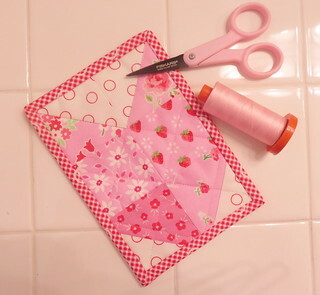 I've had lots of sewing room time lately, and over on Instagram I saw that Lindsay Mayland, editor at American Patchwork and Quilting and Make it Yourself Magazine, made the cutest set of meow mug rugs. I have a lot of scraps in my basket from the Splendid Sampler blocks, so I cut one out, stitched it up, quickly quilted and bound it all in about 45 minutes. Possibly less. I think it's pretty cute and will be a perfect place to plant my coffee! Or stick up on the wall. Or put in the vault.. I just don't know yet. You know me. Then my friend Roseann told me about Cheri Payne's "My Scrapbasket Sampler" . It's a closed group on Facebook, but you can ask to join, it's not secret...they let me right in! It's a block a day during the week, and it's just 24 blocks I believe. I got sucked right in, my scrap basket is full and lots of strips are cut. The group is basically a friendship group and the sampler is just something fun going on right now! Maybe you already belong, I saw some familiar names on the list of members! I saw lots of fun pictures of quilts and blocks and cute displays. Here's my first three blocks. Maybe I'll keep up, maybe not, but so far it's fun! Made these in about half an hour or so. I was working on other things too. I know all of you don't do Instagram but often I have daily goings on there.. and I share projects that people make with PKM fabrics. I think that's a lot of fun. So you can check in there to see what I'm up to as well. Still so jealous! Have a ball and I will be checking Instagram to see what you're up too! These blocks are so cut, boy you have been busy a bee.